Are Breast Enhancement Supplements Effective? Home » Blog » Research » Do Breast Enhancement Supplements Work? With the high cost and risk of breast augmentation surgery, millions of women are considering other options to enhance their bust line Breast enhancement supplements aren’t new, but they have certainly been up to skepticism. The biggest question is “do breast enhancement supplements work?” The answer: it depends on which one you choose! Pills like Bust Bunny’s Capsules are proven to enlarge your breasts naturally with no known negative side effects because there are no additives or fillers. 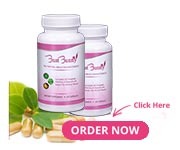 Breast enhancement supplements like Bust Bunny’s Capsules are made 100% from herbs that work in combination to accelerate the breast tissue formation in the female body. These herbs have estrogen-like effects, causing fluid retention in the breasts, and increasing your bust size. Our Organic breast pills incorporate natural herbs that work together to speed up the breast tissue development. These herbal plants have estrogen-like benefits, triggering water retention inside the bust, and improving your bust line measurements. What Are Some Common Ingredients in Breast Supplements? Wild Yam (Dioscorea Villosa), contains Beta-Carotene, and diosgenin, which are powerful -Phytochemicals aiding in optimal breast development. This herb also has hormonal substances very similar to progesterone, a hormone created in the female body that maintains pregnancy. Don’t worry, it doesn’t affect your menstrual cycle in any way. Dong Quai (angelica sinensis), is also known as the “female ginseng”. It is a Chinese herb that helps the body effectively use its hormones. Dong Quai enhances estrogen levels and promotes breast enlargement. Fennel Seed (Foeniculum Vulgare), contains a large amount of flavonoids. Flavonoids give off mild estrogenic effects and are used to stimulate and repair the growth of new breast tissue. Larger breasts come with the growth of new breast tissue. 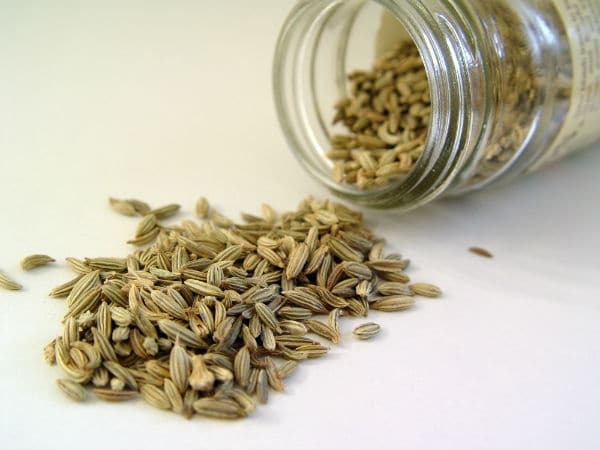 Fennel seed, also used as an aphrodisiac, can be found in the coastal and sub-mountainous regions of southern Italy. Watercress, makes breasts bigger because of the rich amounts of vitamin E found within the plant. Vitamin E supports breast development by strengthening the blood vessels which carry nutrients to your breast tissues. Watercress promotes the production of milk in nursing mothers. Watercress, then, is a wonderfully natural way to increase the size of your breasts. Not only will Watercress help increase the size of your breasts, but the vitamins and nutrients found inside will strengthen the overall health of your breasts. Damiana (Turnera Aphrodisiaca), is a small shrub found in the West Indies. Usually used for treating female hormone imbalances, this shrub contains volatile oils, alkaloids, flavonoids, cyanogenic glycosides, tannins and resins. Blessed Thistle (carduus benedictus), has long been used as a hormonal balancing herb around the world. It tones and enhances the breast tissues, improving the overall look of your breasts. These ingredients are all included inside our Bust Bunny capsule making it easy to consume of all these herbs in one supplement. Start your breast enhancement journey today! Use coupon code “breastsupplements” for 10% off or CLICK HERE to have your coupon instantly applied. Do Breast Supplement Pills Actually Work? There are other natural herbs that have been proven to enhance your breasts that many other breast pills on the market do not have. Bust Bunny Capsule ingredients also include black cohosh extract, watercress, and dandelion root. These herbs work together to naturally enlarge your breasts without the risks of negative side effects. Bust Bunny includes many more natural herbs and chemicals than listed above, but you can rest assured that the mixture of herbal plants interact with each other to naturally enhance and add volume to your breasts without having the challenges of an infection or sedation that you’d get if you experienced breast implant surgery. These herbs have been shown to demonstrate success whilst keeping women of all ages protected all at once. That’s what Bust Bunny is all about. Bust Bunny’s main goal is to not increase your breast size, but to increase your overall happiness through breast enlargement. Start today with coupon code “breastsupplements” for 10% off or CLICK HERE to have your coupon instantly applied. Just wait and see how a larger bust can improve your life!